This month we celebrate Peruvian culture with three great Peruvian acts, Mixed Culture (reggae), Kuyayky (folkloric), Miami Fiesta Criolla (Afro-Peruvian festejo). We will also have Rudy And The Creole Fever (Haitian) and The Moksha Roots Allstars (reggae). 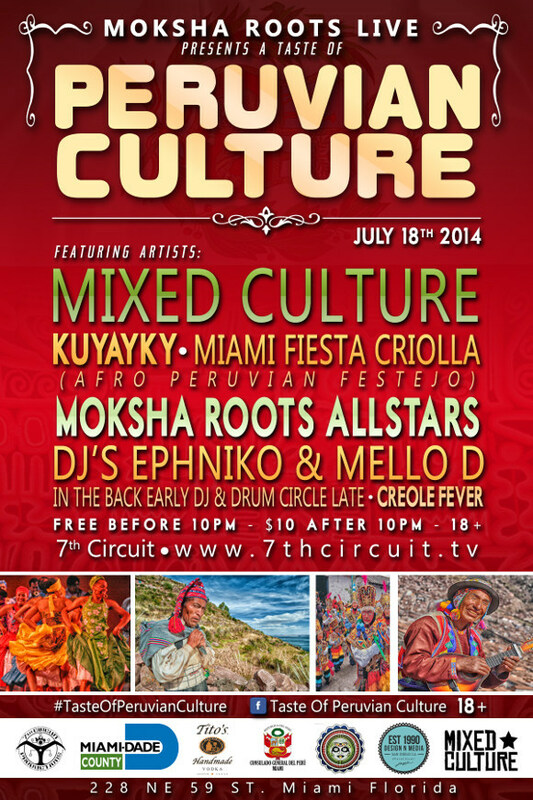 Mixed Culture is a 7-piece Roots Reggae ensemble from Hollywood, Florida. Mixed Culture has made a solid stance in the Miami reggae scene and is currently going into a period of rapid harmonic growth and expansion. 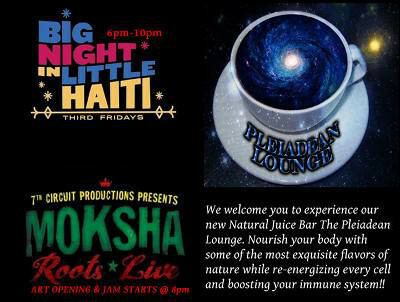 Moksha Roots Live – 08/15/14! !